Special counsel Robert Mueller’s team has sent a subpoena to veteran writer Jerome Corsi — the first publicly known effort to compel a journalist’s testimony in the Trump-Russia collusion investigation. Corsi, whose work has been showcased for years in conservative outlets such as Human Events, World Net Daily and the InfoWars conspiracy site, says he will not fight the subpoena and plans to appear before the grand jury on Friday. The subpoena is a not-so-subtle reminder of just how much prosecutors, FBI agents, and the government’s confidential sources who launched and sustained the Russia probe all targeted, courted and leveraged the news media.
. . . From the beginning of this investigation, key figures involved in it have had extensive contacts with or connections to media. Fired FBI official Peter Strzok and his alleged paramour, former FBI lawyer Lisa Page, texted frequently about leaks in the media affecting their cases, and even suggested the FBI was behind some of those. FBI Deputy Director Andrew McCabe was fired for lying about one media leak he authorized. The FBI secured a FISA warrant against Trump campaign adviser Carter Page in part by citing a Yahoo News article by Michael Isikoff that, it turns out, was based on a leak from the FBI’s own informant in the case, former British intelligence operative Christopher Steele, whose dirt on Trump was bought and paid for by the Clinton campaign and the Democratic National Committee. Mueller Ready? ... To be Roasted. & MeToo-Toasted? grace and strength of my client. WASHINGTON — A lawyer for Paul Manafort, the president’s onetime campaign chairman, repeatedly briefed President Trump’s lawyers on his client’s discussions with federal investigators after Manafort agreed to cooperate with the special counsel, according to one of Trump’s lawyers and two other people familiar with the conversations. (WTF is the problem with a meeting at Trump Tower anyway? It was never illegal to have such a meeting. And the Donald never attended anyway. These two points -- WikiLeaks and the Trump Tower meeting -- are critical to Mueller's central mission: investigating whether the Trump campaign colluded with Russians during the 2016 campaign. The President's lawyers previously told CNN the answers would match his public statements. Still, these written answers could be subject to criminal charges if false. A spokesman for the special counsel declined to comment. CNN did not get a full readout of all of the President's answers to Mueller's questions. According to many lawyers who have experience in cases such as this, adding the caveat that he has no recollection, as the President apparently did with these written answers to Mueller, is standard procedure as a way to try to shield a client should their recollections be challenged. "It's well-documented how frequently he says or tweets false things, and there's no criminal exposure for that," said CNN legal analyst Carrie Cordero. "The difference is, if he lies in his statement to federal investigators, he is potentially exposing himself to criminal liability, assuming he attested to the accuracy of the information." What do they think was wrong with the Trump Tower meeting? ALAN DERSHOWITZ said exactly what everyone else was thinking this morning about the Mueller investigation. Mueller has nothing on Russian collusion and the Trump campaign so he’s “creating” crimes…Could it be to justify the $40 million spend on this ridiculous investigation? Reacting on “America’s Newsroom,” Dershowitz emphasized that crimes by Cohen and others were committed as a result of Mueller’s appointment, not before he began the investigation. DiGenova: Mueller's Pathetic Narrative Will Be "I Couldn't Prove Collusion Because They Wouldn't Let Me"
Graham blames Sessions for not appointing a second Special Counsel and hints the new Attorney General (after Whitaker) could do just that once he’s confirmed by the Senate. Lindsey also says he plans to hold hearings on FISA abuse against Trump in his Judiciary Cmte starting in January. Mueller, Hillary and SpyGate dominate the final 2 minutes. How idiotic can you get? 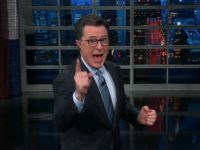 Can you match Colbert? The Trump Organization planned to give Russian President Vladimir Putin a $50 million penthouse in the proposed Trump Tower Moscow as the project was being pitched in Russia during the heat of the 2016 U.S. presidential election, Buzzfeed News reported Thursday. The building project eventually fell apart and it was unclear if Donald Trump knew about the details, Buzzfeed said. Citing four sources, including Trump business associate Felix Sater, who claimed credit for the idea, Buzzfeed said Michael Cohen led negotiations into the summer of 2016, despite public claims that the project was scuttled that January, before Trump had secured the Republican nomination. Cohen, then Trump's personal attorney, reportedly talked about the idea with Putin's press secretary. WTF is the problem with a meeting at Trump Tower anyway? Jerome Corsi today retained attorney Larry Klayman to assist his personal attorney David Gray in his defense. In a memo that Corsi sent to his attorneys, he instructed them to file with acting Attorney General Mathew Whitaker a criminal complaint against Mueller’s Special Counsel. They will be filing prosecutorial misconduct against the Special Counsel. For anyone not familiar with that name. Is WashCompost publishing confidential LEAKED docs again? Only when the cia approves it. NO SURRENDER = Go on attack! Jerome Corsi, the conservative author accused of lying under oath to Special Counsel Robert Mueller’s investigators, filed a federal lawsuit late Sunday accusing Mueller of leaking grand jury items and various constitutional violations, including illegal surveillance, reports said. The author has theorized that investigators hoped that he would admit to a connection with WikiLeaks' Julian Assange. The connection would bolster their Russian collusion investigation, he said. A link between Corsi and Assange would make it easy to tie in President Trump's former adviser Roger Stone, he said. American intelligence agencies have assessed that Russia was the source of hacked material released by WikiLeaks during the 2016 election that damaged Hillary Clinton’s campaign. Mueller’s office is trying to determine whether Stone and other associates of President Trump had advance knowledge of WikiLeaks’ plans.
. . . The suit was filed in the U.S. District Court in Washington and named Mueller as the defendant. The suit claims that Mueller and his team “demanded” that Corsi falsely testify that he acted as a liaison between Stone and Assange. Politico reported that the suit accuses Mueller of unconstitutional surveillance through the NSA program that was exposed by Edward Snowden, PRISM. 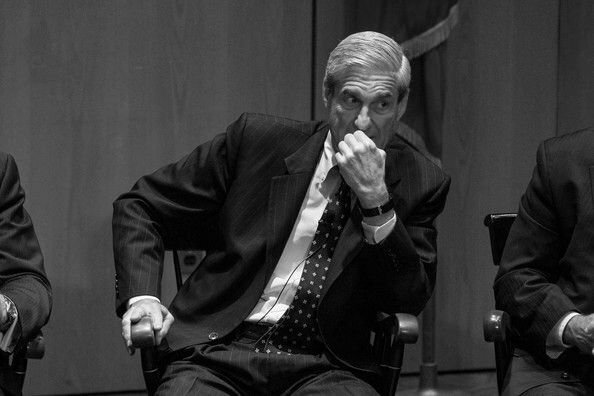 "Defendants Mueller, DOJ, NSA, CIA, and FBI have engaged in ongoing illegal, unconstitutional surveillance on Plaintiff Corsi, in violation of the Fourth Amendment and the USA FREEDOM Act as well targeted ‘PRISM’ collection under Section 702 of the Foreign Sovereignties Immunity Act at the direction of Defendant Mueller," the suit said, according to Politico. National security lawyer Bradley P. Moss has pointed the lawsuit's apparent misciting of "the Foreign Sovereignties Immunity Act" rather than "the Foreign Intelligence Surveillance Act." 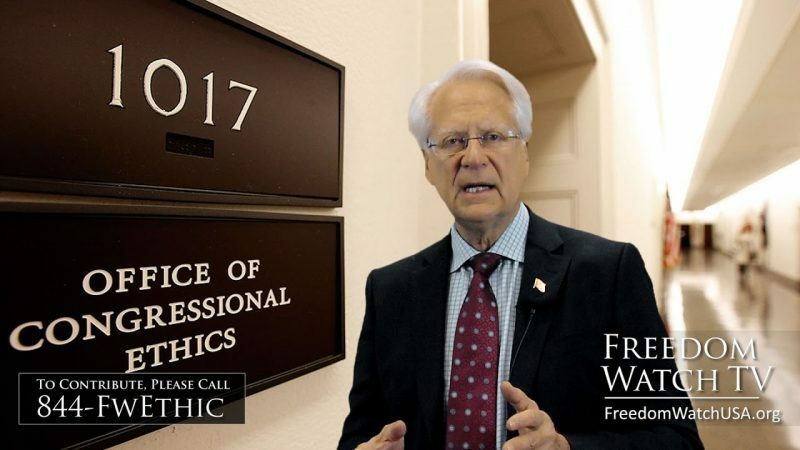 "Larry Klayman (Corsi's lawyer) is alleging 4A violations by Mueller against Jerome Corsi in reliance upon section 702 of the Foreign Sovereign Immunities Act," Moss tweeted. "He meant the Foreign Intelligence Surveillance Act. He wrote FSIA." WITCH HUNT : End in sight? Mueller has since become the darling of the far-left, who have convinced themselves that he is on the verge of throwing President Trump behind bars. 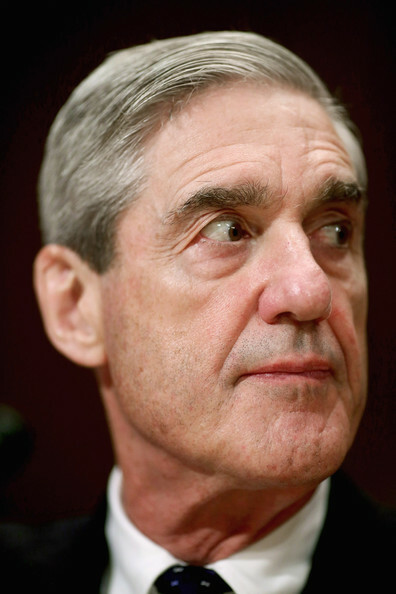 However, while evidence exists that Mueller’s report may ultimately disappoint Democrats, there is even more confusion over the timing of when Mueller plans to release his findings. All of that may change very soon though. One Republican Senator just dropped a bombshell about when he expects Mueller to wrap up his work. Grassley told reporters that he expects Mueller’s investigation to be presented within a month, though he added there’s a chance the Senate will not get to see the findings. NOW, go after a REAL Witch... that's Hillary. 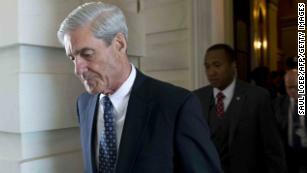 Barely a week after being sworn in as the head of the Justice Department, Attorney General William Barr is reportedly planning to announce as early as next week that Robert Mueller has completed his investigation and that a confidential report on Mueller's findings will be submitted to Congress in the very near future. According to CNN, the preparations - which are in line with an NBC report from late last year that the Mueller report would be completed by the end of February - "are the clearest indication yet that Mueller is nearly done with his almost two-year investigation." Barr has said that he wants to be as "transparent" as possible while being "consistent with the rules and the law."